Friendships are very important to me. Making time for my girlfriends is something I need to do to keep my sanity and with three kids that can get difficult. Especially when one of them is 5 months old and isn’t too good at taking a bottle. So in order to get my girl time in I often have friends come over for girls night in instead of girls night out. Sure, girls night out is fun, but girls night in is just as fun and can save me a little money too. I love being able to come up with creative ways to make girls night in interesting. 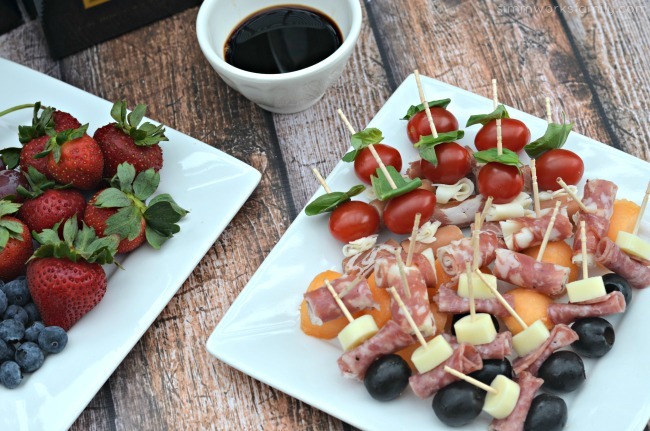 From My Favorite Things parties, to pairing afternoon kid snacks with wine, to prepping some appetizers in advance and popping open a box of Black Box wine, there are tons of ideas on making girls night in enjoyable. This time I paired my love of cheese platters with an on-the-go solution to enjoying them easily whether we’re at my house, or having a girls night in at one of the other ladies houses. All I have to do is pack them up and grab a box of wine and we have a portable girls night. Easy peasy. I grabbed a few things we had in the fridge and pantry and paired them with some cheeses and meats I’d normally serve on a cheese platter. The classic combo of flavors found in a caprese salad, some melon and prosciutto with provalone, and my favorite pizza toppings. 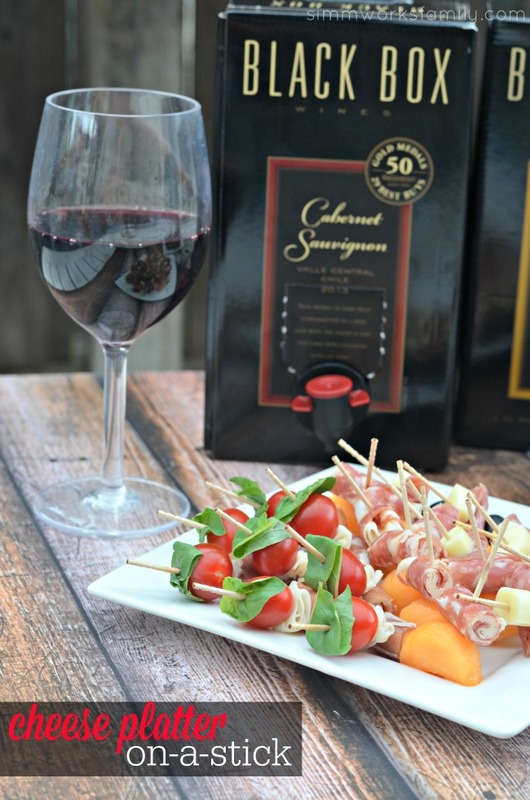 Each trio pairs perfectly with either a glass of cabernet sauvignon or chardonnay. The pairing possiblities are endless. Brie, apples, and figs; arugala, gorgonzola, and pear; etc. 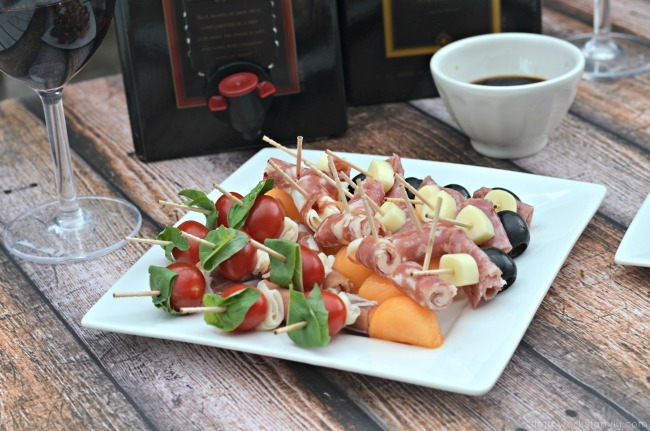 And each is a great way to bring out the various flavors in the wines we love. 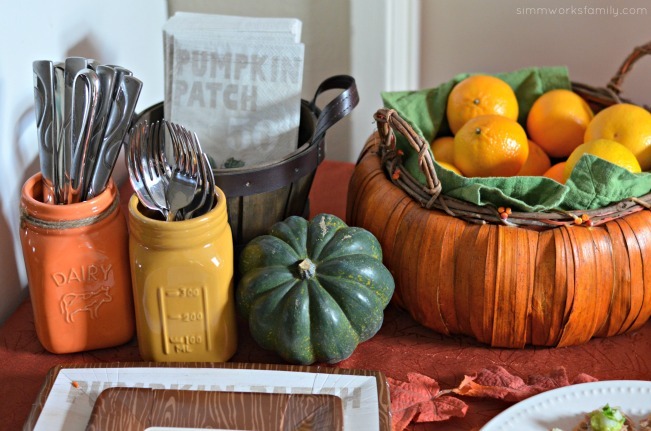 Visit the Simple Entertaining Social Hub for more great entertaining ideas! 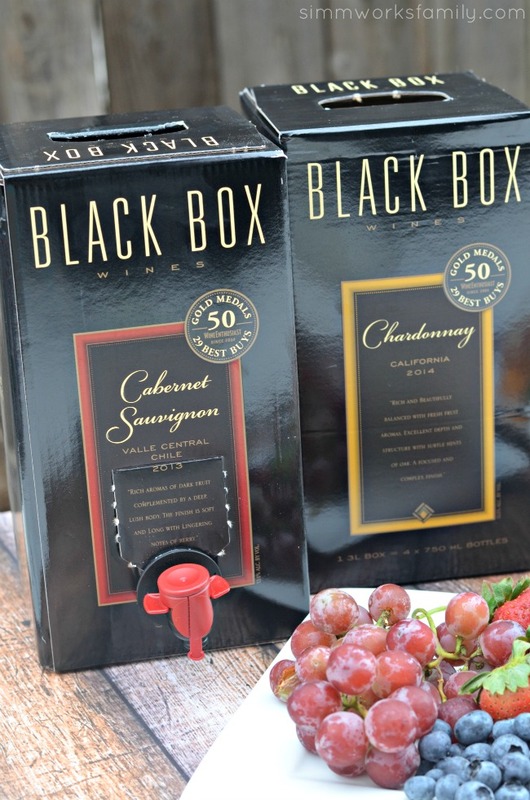 Black Box has won over 50 Gold Medals for its quality, it’s available for 40% less than comparable bottled wines, and it stays fresh for up to 6 weeks. And don’t forget to enter the sweepstakes to win a trip to the California wine region of your choice. 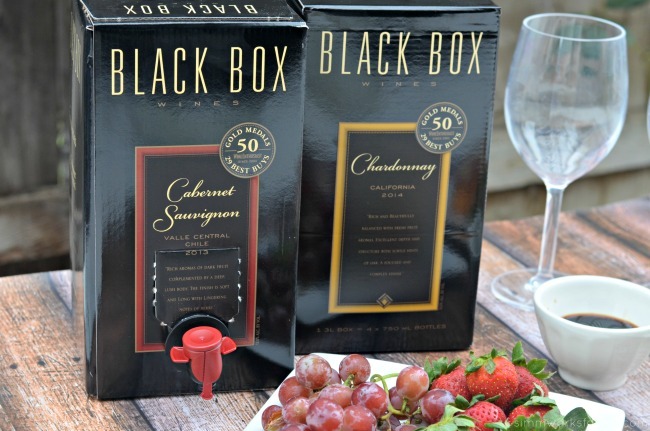 Did you know San Diego has some amazing wineries within driving distance? 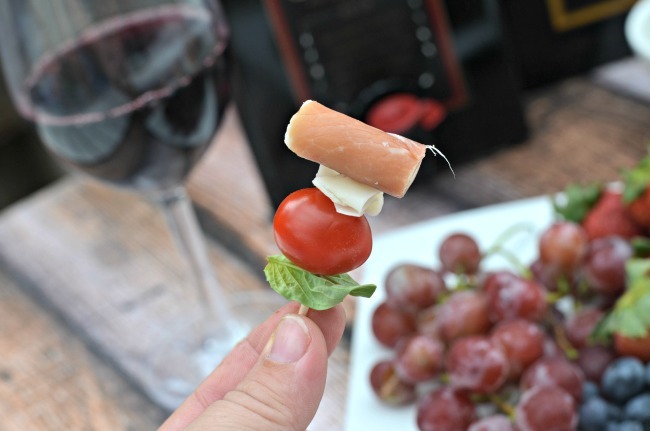 What’s your favorite on-the-go appetizers for girls night? This post featuring Easy Entertaining with Pepperidge Farm Puff Pastry Appetizers is written by me on behalf of the Pepperidge Farm Puff Pastry. I love appetizers. They’re small, bite-sized, and packed with flavor. 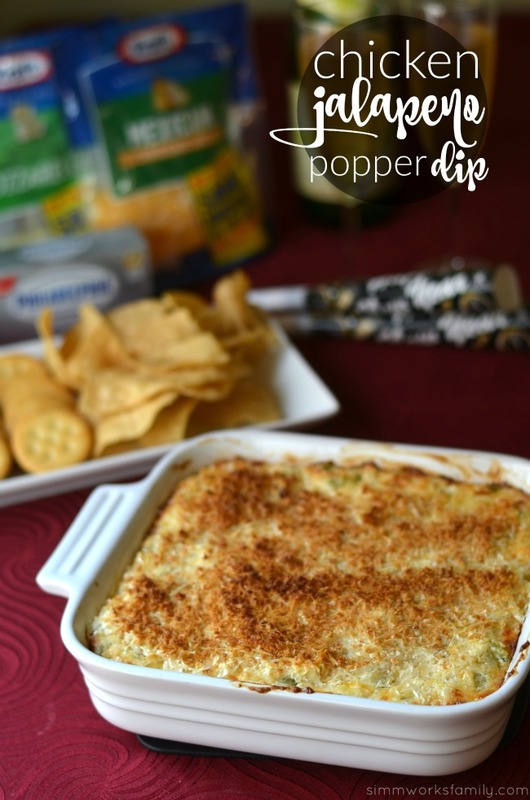 So when appetizers become easy enough to throw together with 2-5 ingredients you know I’m interested! 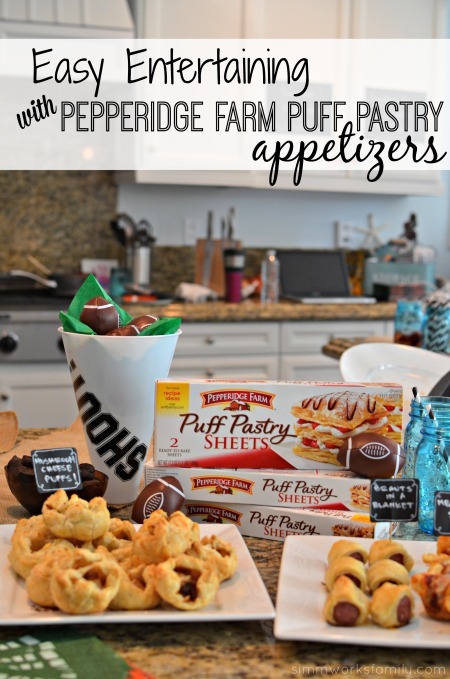 Last week I was invited to attend a delicious party featuring Pepperidge Farm puff pastry and a handful of recipes. While I mingled with social media friends I was able to try a nibble of just about everything. And this pregnant mama was very grateful for the small bites. I love football season. But it’s not for the game… it’s for the food. No, seriously. I also like the fact that we have an excuse to get together with friends and hang out. And it gives me an excuse to try out delicious recipes without having to enjoy them all by myself. And as of this weekend, football season is here with full force. So that means a. I have no control over the remote anymore and b. I get to try out all of the recipes I’ve been pinning over the summer! 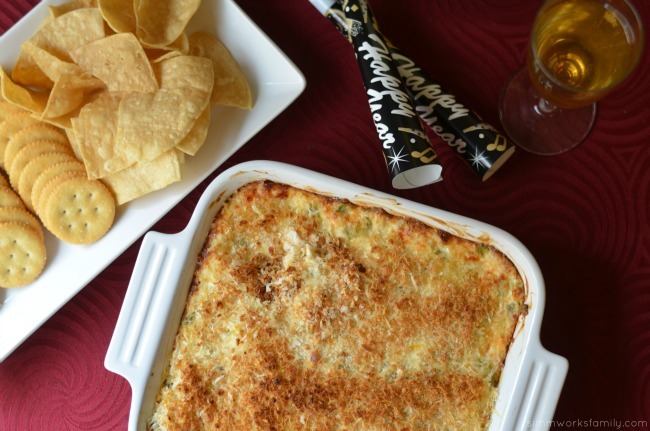 Starting with a delicious spinach artichoke dip that will complete any tailgating spread. 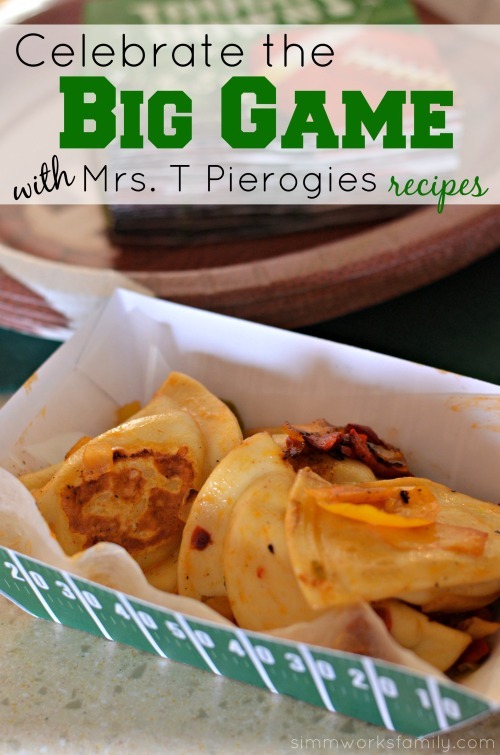 This past weekend I hosted a playoff party for our family and friends and at the top of the line up of appetizers were these delicious Mrs. T pierogies. 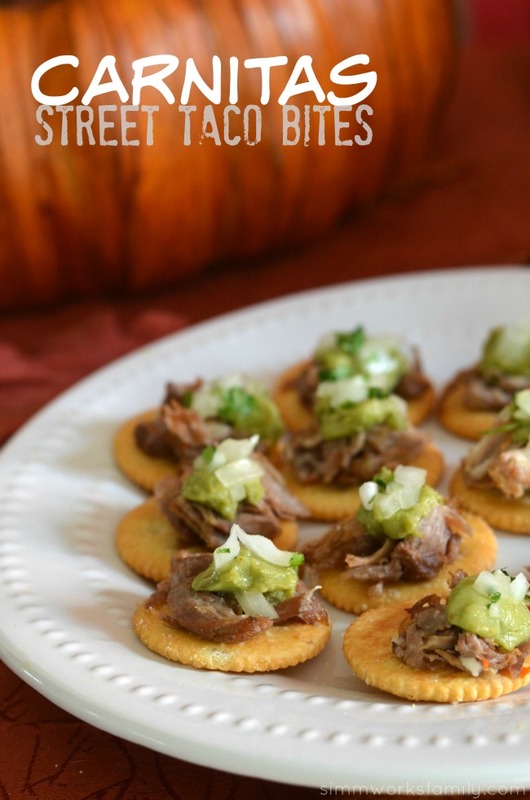 After making them for a girls night in a few weeks ago I decided they’d be the perfect addition to our game day meal. I kept it simple and grabbed a box of my favorite low-fat potato and cheddar pierogies and some frozen fire roasted onions and peppers from Trader Joe’s (a freezer staple in our home) and cooked them up in some olive oil. These were such a hit! Our friends loved them and they paired perfectly with the other dishes we served. They also tasted great with a beer in hand! I’m all about the appetizers and desserts this time of year. 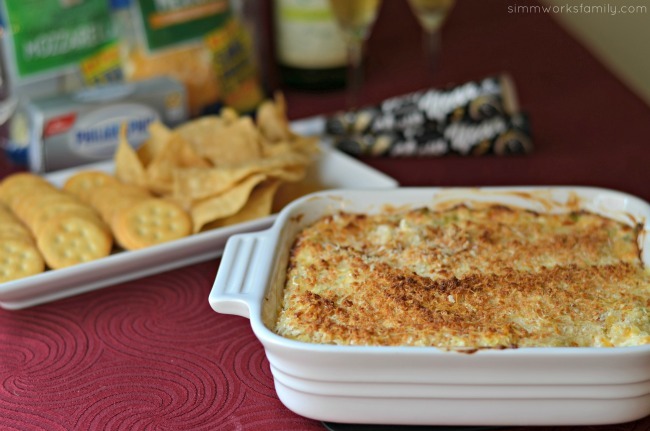 The one thing I always love to make for guests is a hot dip to enjoy and warm up to. 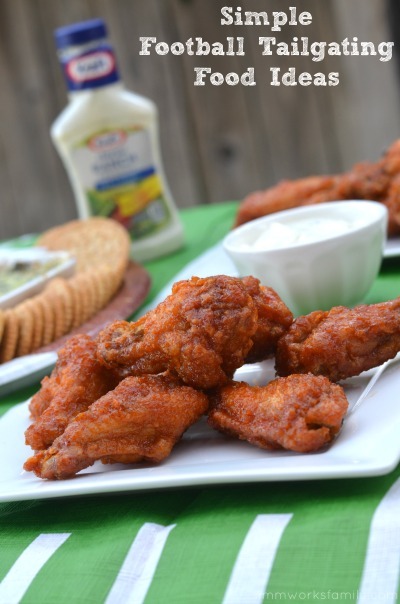 And my dips almost always include Philadelphia cream cheese. Because who can say no to that creamy goodness? 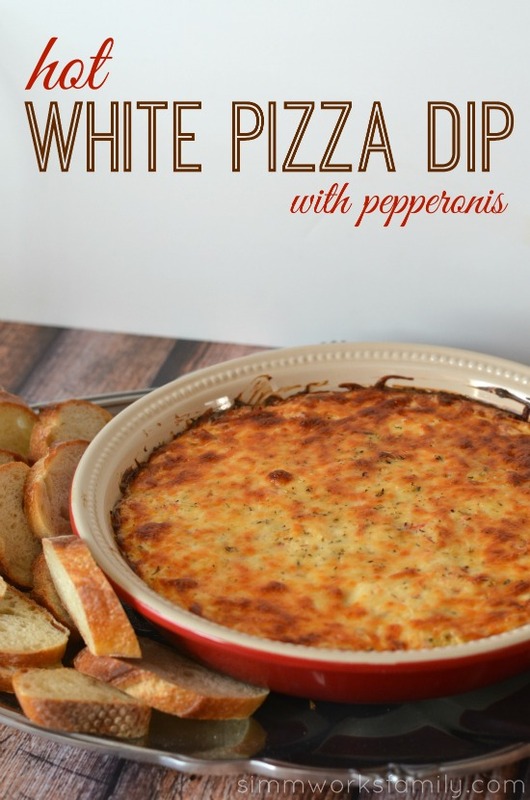 In an effort to combine a few of our favorite flavors, I made this delicious hot white pizza dip with pepperonis. We just celebrated my daughter’s 3rd birthday yesterday and boy was it a blast. Good friends, good food, and good fun. While in full party prep mode the day before I made a list of all of the items I still needed to pick up for the party. 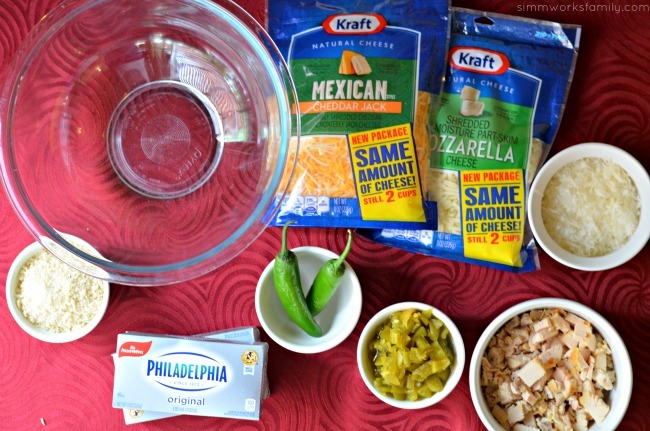 Including the ingredients for this dip. Lunch time always proves to be a challenge when it comes to figuring out what to make. The kids either don’t want what your making, you’ve already served it 3 days out of the past 5, or it just doesn’t sound appealing. So I created a cheat sheet of sorts. For lunches. You know, to take the guessing game out of the picture AND always have ingredients on hand for meals my kids will actually eat. 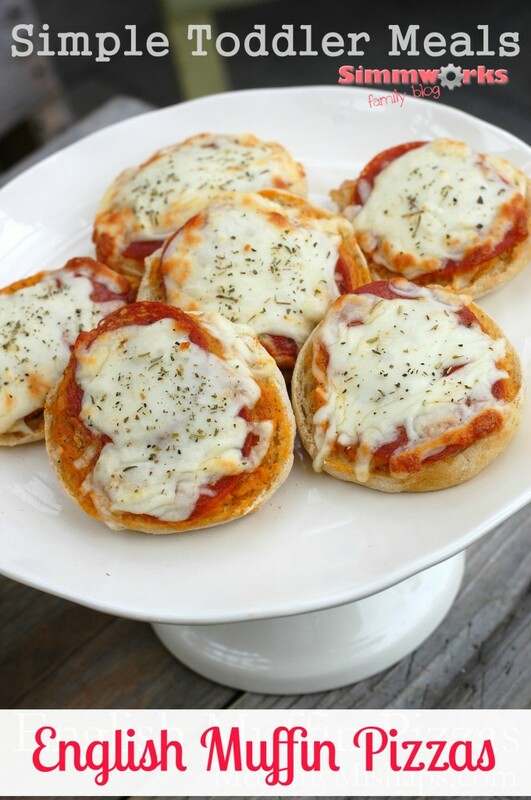 You can find all of my quick, easy toddler lunches here but I thought I’d share an all-time favorite in our home, English Muffin Pizzas! And the best part is these take less than 10 minutes to make from start to finish (unless the kids are helping…). Remember, the toppings listed below are just suggestions. There are countless other combos that would make this pizza just as tasty. 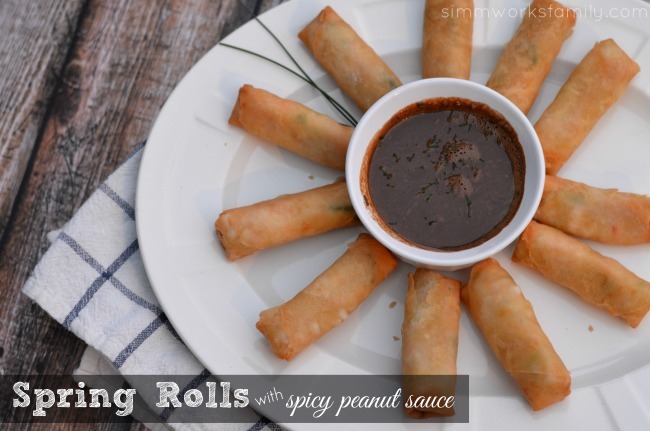 These would probably make some tasty appetizers too if you’re looking for a quick fix. Preheat your toaster oven to 425 (or use your large oven if making many). Line a toaster oven safe tray or cookie sheet (for oven use) with foil. Grab an english muffin and cut it in half. 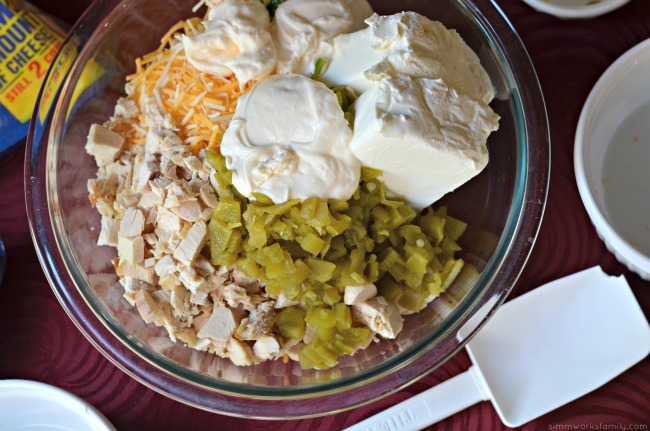 Add all of the ingredients into small, separate bowls in an assembly line. Move a stool over and let your child hop up to counter height, or assemble on the kitchen table. Have your child spread about a spoonful of sauce onto each muffin half. Then have them take a small amount of each topping and add it to the sauce. Let them top each pizza with a pinch of cheese (careful not to over do it). Before placing the pizzas in the oven, let your child sprinkle the top of each pizza with a little bit of Italian seasoning. 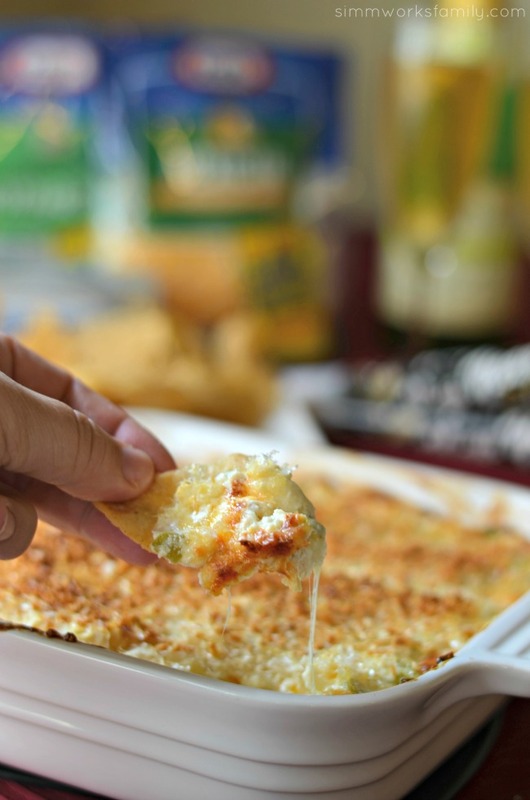 Put pizzas on prepped tray and bake in the oven for 5-7 minutes or until cheese is bubbly and golden. Let cool for a minute or so then serve and enjoy! 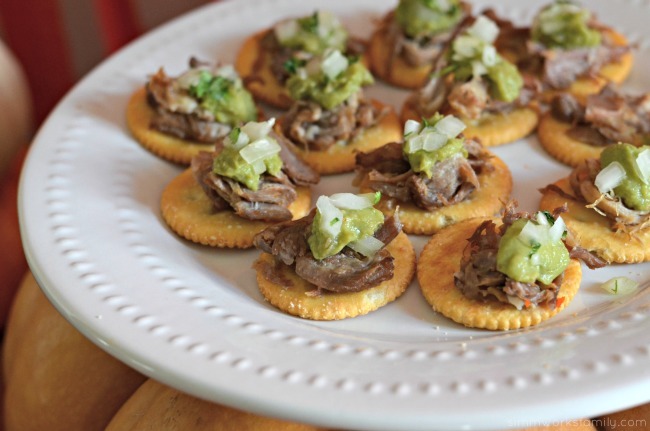 With Super Bowl Sunday coming up the only thing on my mind is football appetizers! I’m all about celebrating the super bowl. As long as I don’t have to watch the game and get to enjoy my family and delicious food. That’s right. While I root and cheer on whatever teams are playing, I’m usually cheering on both sides. Or I pick randomly between the two teams. I’m just not passionate about football. But I am passionate about food. 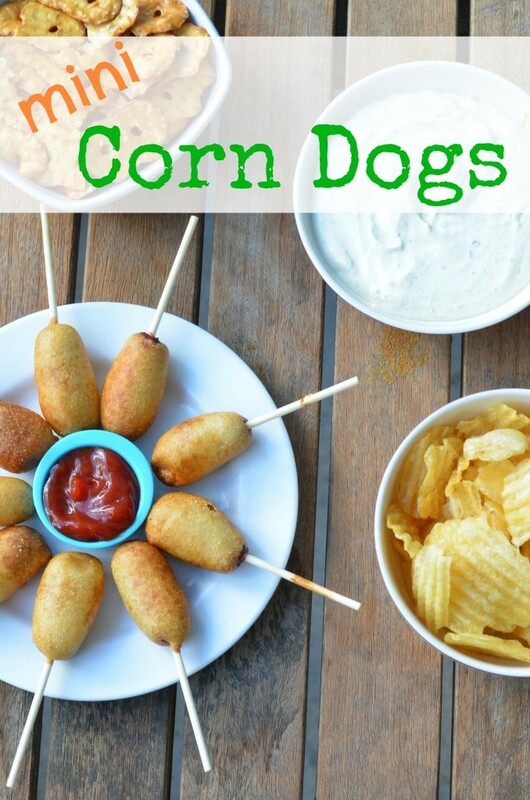 And these mini corn dogs are sure to be a hit at your next party. The best part? They’re the perfect size for little ones. Now my kids take 1-2 bites out of their hot dog or corn dog and call it a day. All that waste! With these they can finish one in a bite or two and eat more if they’re still hungry. Plus, since I used the Hillshire Farm Turkey Lit’l Smokeys they’re lower in fat without sacrificing the taste. So if you’re looking to please a crowd and serve something tasty you should definitely try making some mini corn dogs.